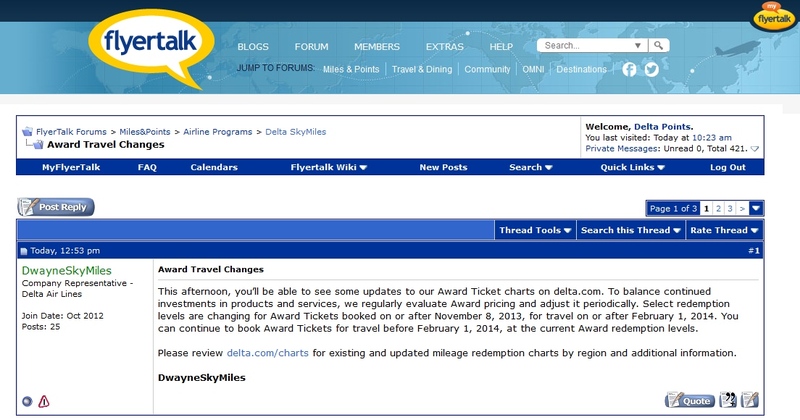 In a post on Flyertalk today, DwayneSkyMiles Delta Air Lines Company Representative, announced the additional changes to the program. There are few times info like this has any upside. The last round of changes at least came with the assurance that after 01JUNE2014 full flat seats would be on all international flights. There are no upsides to this one. If you take a look at the “new” old list, compared to the “new-new” list, you can see the highlighted boxes for a quick overview of the ones that have been changed since the last round of devaluations. The ones that will affect so many of us are the jump in saver business class seats from 8-11% and 9% for standard and 7% for peak awards. 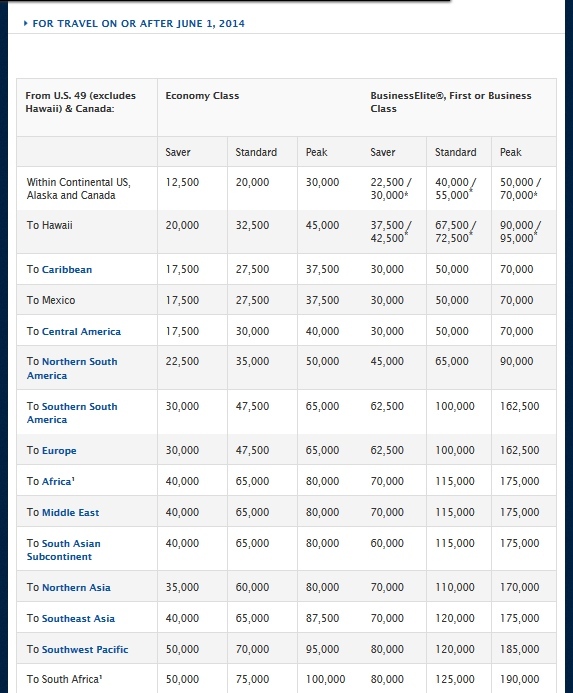 Hawaii was hit HARD with saver Economy jumping by 13% and business class from 6-10%. The highest jump will be to South Asian Subcontinent business saver awards jumping a MASSIVE 17%! Unfortunately, the UA devaluation gave DL cover to do this. Since it is less devaluation than UA, they figured (rightly so) that the DL loyal flyers would not squawk too much. Am I correct that the changes announced today don’t affect the previously announced changes? In other words, did today’s announcement make matters worse than they would have been given the earlier devaluation? Or does today’s announcement just make the earlier devaluation take effect earlier than it would have otherwise? 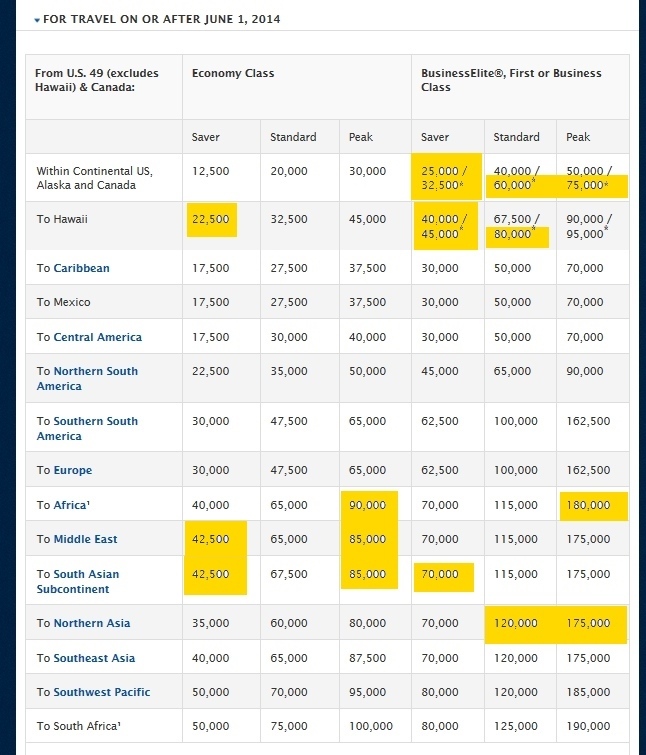 Maybe it just from my point of view, but unless I am out there to use miles to get the award travel to Africa, Asia or Mid-east the changes are not that much. I use most of my miles to upgrade (PWM) or to get flight for the Wife to join me on a Business trip. I know many think that the cost should never change but really we all know it will and thats a fact. @Charles – these are worse than the ones before. If your using a hub that is Delta based and you have few other choices, you are sort of stuck. All major airlines and hotels have drastically diluted their reward programs to the detriment of their members. Loyalty via membership is really just a different form of revenue source for them. Unless there is a way of convincing them to change thing to our betterment the best thing you can do is follow the advice of smart people like René and get your biggest and best “bang for your buck”!